Is there a better alternative to Counterparts Lite? Is Counterparts Lite really the best app in Developer Tools category? 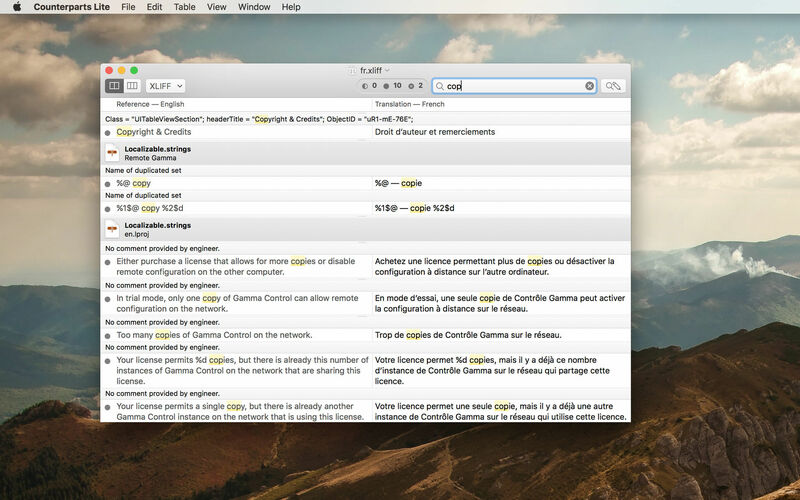 Will Counterparts Lite work good on macOS 10.13.4? 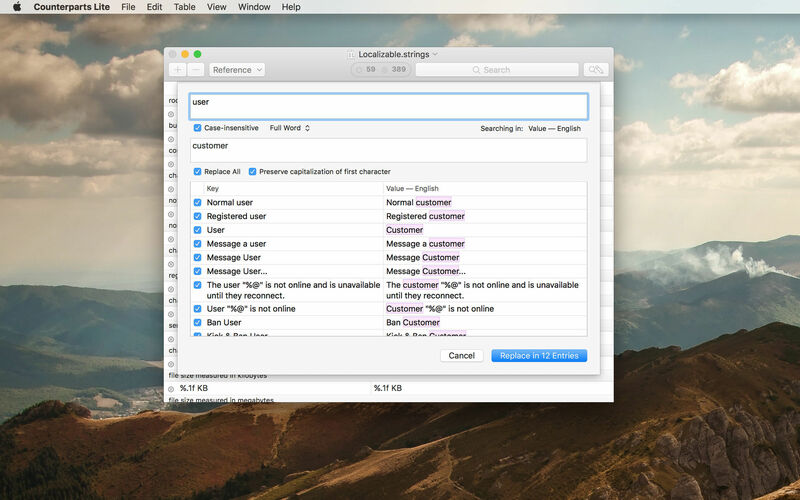 Counterparts Lite is a string-table editor for Mac and iOS app developers and translators of those apps. 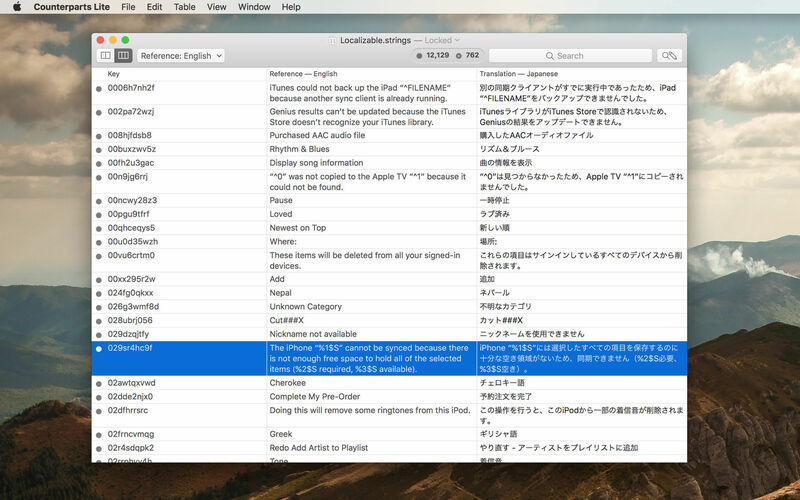 It shows your string table as a grid you can navigate and edit with keyboard shortcuts and rearrange by dragging rows. 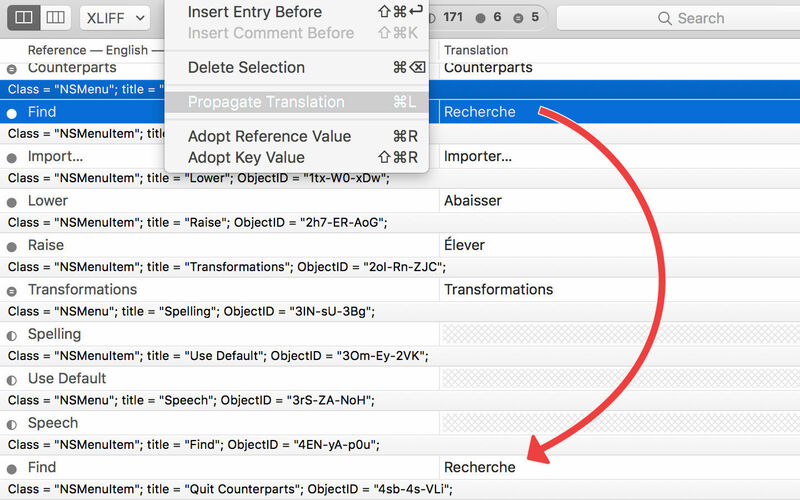 It also let you select a reference file displaying it in a side-by-side view suitable for translating an existing file, with a convenient filter to spot quickly missing translations. 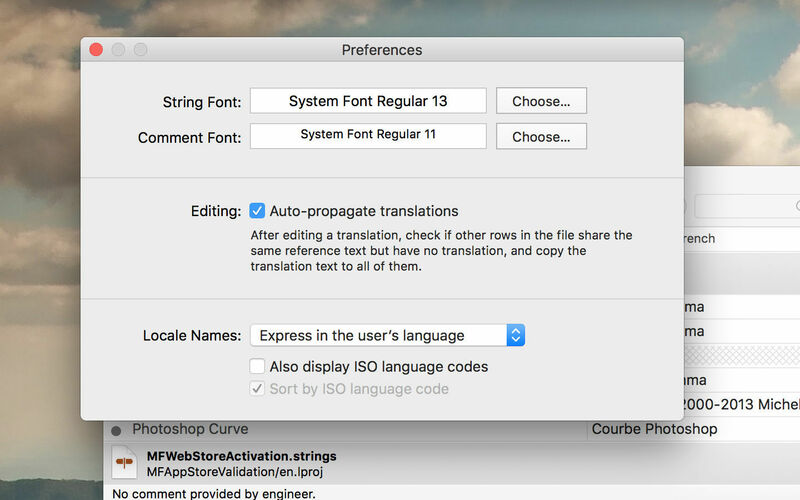 Counterparts Lite opens ".strings" files, including binary (compiled) ones, and can also open XLIFF files allowing you to edit translation strings within them. Now preserving the state and state-qualifier when opening and saving XLIFF documents. The attributes are discarded for rows that have been edited. Counterparts Lite needs a review. Be the first to review this app and get the discussion started! Counterparts Lite needs a rating. Be the first to rate this app and get the discussion started!